Demographics are essential when it comes to traditional and streaming TV. Having proper data and analytics gives operators chance to define their OTT subscribers and battle for attention and engagement. Adobe revealed in a recent research that consumers are now spending 42% of their TV time watching subscription, transactional or free streaming video services. This means that video streaming behavior has fundamentally changed over the years. Here are some insights we got by exploring OTT trends by various age demographics of OTT subscribers and how their viewing habits are changing over time. The increasing adoption of OTT content is evident among younger consumers i.e. millennials. These consumers demand access to content when they want and use devices of their own choosing. 80% of millennials now subscribe to at least one OTT service. This also means that 39% consume at least 7 hours of online video every week. As expected, millennials still remain the strongest demographic for OTT adoption. They account for 52% of OTT subscribers under age 35. Young, working adults with busy lives predominantly enjoy the convenience of content on demand. 45% of millennials pre-family and 56% with children currently have a pay TV subscription. 45% of them either have or expect to have an OTT subscription in the next year, with two thirds of those planning to cancel or reduce their pay TV spend. When it comes to older generations, there is a difference in the consumption habits depending on the age of the OTT subscriber. The older generation that has grown up with linear TV and still has a certain amount of affinity with it, whereas millennials, for example, are much less likely to sit in front of a TV screen and consume linear content. However, despite this popular belief that adults are remaining loyal to pay TV, the study from Adobe also found the streaming of content to be an increasingly popular pastime activity with older generations. 65% of the time spent engaging with OTT services on home TV screens is enjoyed through subscription video-on-demand (SVoD), 30% is spent watching free streaming services (FVoD). That being said, OTT viewing and streaming of TV content is no longer reserved for millennials. Despite expectations, older generations do not choose to exclusively commit to traditional TV subscriptions and linear viewing patterns. Instead older generations are integrating services into their TV watching at a greater speed, services with more choice and fewer viewing restrictions. 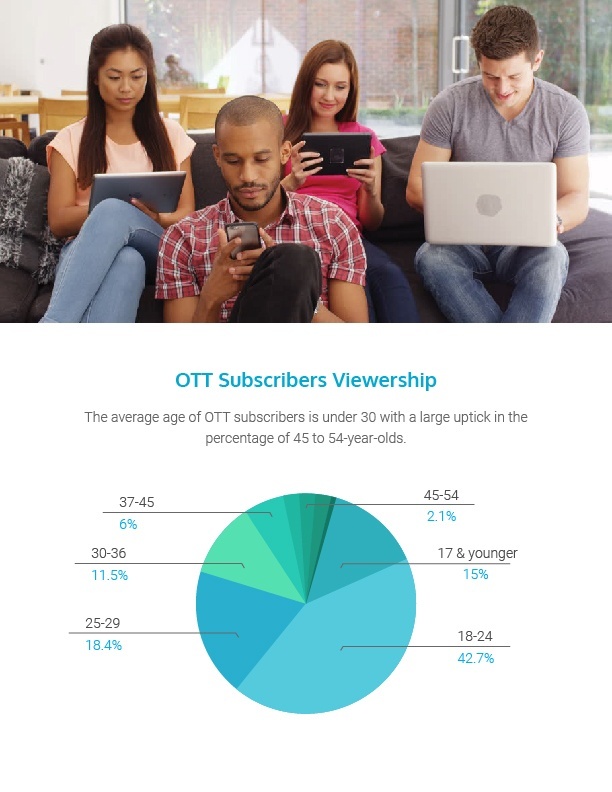 Older audiences are quickly adjusting to everything OTT has to offer and there is a large uptick in the percentage of 45 to 54-year-olds that now have OTT subscriptions. Subscriptions among those aged 55+ have also significantly increased to 32%, up from 19% last year. 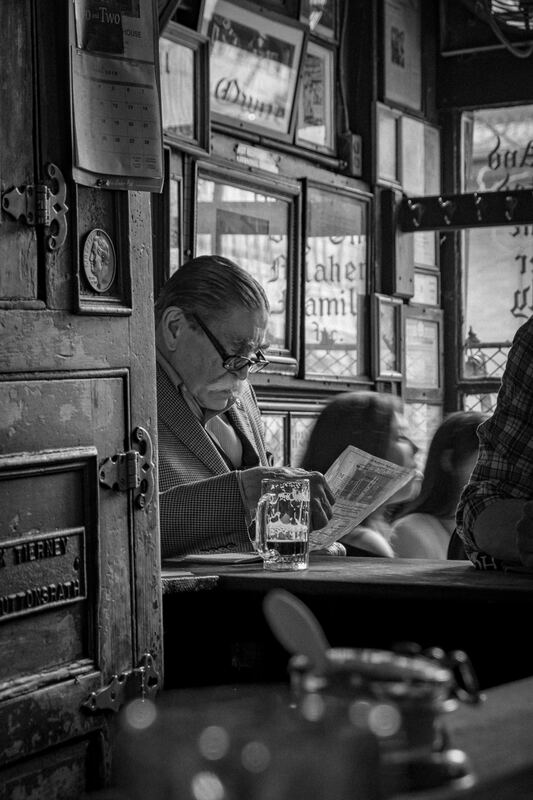 Older OTT subscribers are clearly becoming more tech savvy and engaged with the abundance of pay-OTT services on offer. OTT brings a huge amount of benefit for content providers, whether they are traditional broadcasters or next-generation media companies. This means they should use all research and available data coming from their subscribers’ behavior and demographics if they are to take their businesses to the next level of development and market opportunities.